Discover two fascinating and historical countries in one exciting journey. Take a cruise down the legendary River Nile, experience the bustling capital of Egypt and marvel at the amazing Pyramids and Sphinx. Journey onwards to Jordan and explore the wonders of Petra and relax at the Red Sea resort of Aqaba. Day 1: Fly from Heathrow to Luxor. Upon arrival transfer to your Nile cruise boat for a seven night cruise. 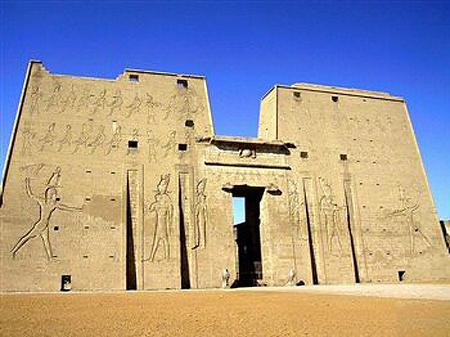 Customers choosing Alexander the Great* will spend their first night at the Old Winter Palace in Luxor and then start the tour the following day. 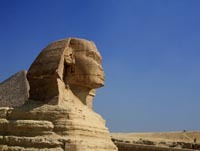 Day 9: Morning visit to see the Great Pyramids of Giza and Sphinx followed by a tour of the Egyptian Museum. Day 10: Day at leisure or you may want to take one of our optional tours to the stunning mosques of Islamic Cairo and the intriguing early churches of Coptic Cairo. In the evening, enjoy an optional dinner cruise on the Nile whilst watching a traditional folklore show. Day 11: Morning at leisure. Afternoon flight to Amman. Upon arrival in Jordan transfer to Petra to stay of 2 nights. 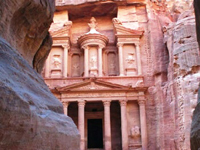 Day 12: Full day exploring Petra known as the Rose Red City. The day will include visits to the Siq a long winding canyon that leads to the dramatic Treasury, Petra's most famous monument plus the Street of Facades, the Court House and the Amphitheatre. Overnight at hotel. Day 13: After breakfast, depart to Wadi Rum, the largest and most magnificent of Jordan's desert landscapes. Experience this vast wilderness aboard 4x4 vehicles driven by local Bedouins. The trip is around 2 hours before heading to Aqaba for a stay of 3 nights. Days 14-15: The popular resort of Aqaba rests at the southern-most tip of Jordan between the desert and the crystal clear waters of the Red Sea and offers shops, bars and restaurants for all to enjoy. There is plenty of opportunity to explore with a range of optional excursions available including boat trips and snorkelling or simply relax by the pool. Day 16: Transfer after breakfast to Aqaba airport for the return flight via Amman to the UK. Please note the Nile cruise itineraries can be subject to alteration locally at short notice. All optional excursions can be booked and paid for locally.